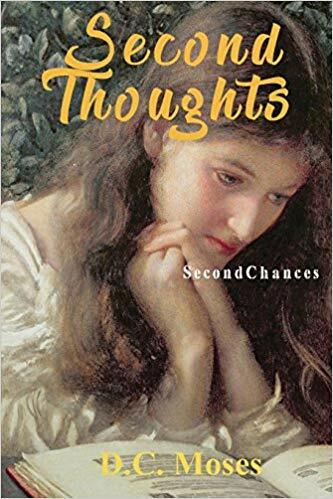 In “Second Thoughts: Second Chances,” the author weaves a tale about life’s tough choices and second chances. Through every character’s journey, readers will understand how life brings trials that may test even the strong relationships, give room for second thoughts, and open other windows of opportunities. With her storytelling and creative writing prowess, D. C. Moses (Delores Moses) shares a riveting story that follows well-written characters that will truly capture the hearts and minds of every reader. A finalist of the Eric Hoffer Awards in 2015, she wonderfully narrates every character’s storyline and effectively pulls readers in from start to finish. As her third novel, “Second Thoughts: Second Chances” is definitely a novel like no other. After facing major challenges and unexpected twists throughout during their long-standing relationship, Sydney and Corinna’s lives changed its course. Eventually, they find themselves deciding to separate. Through this painful process, Corinna discovers her inner confidence and begins to fall in love with someone new. Through every character’s journey, readers will understand how life brings trials that may test even the strong relationships, give room for second thoughts, and open other windows of opportunities. The story also sheds light on the tough choices that people should make to make way for healing, renewal, and growth. “Second Thoughts: Second Chances” will soon join the highly-anticipated 2019 Los Angeles Times Festival of Books on April 13-14, 2019. With hundreds of great titles from different genre types to be displayed during this wonderful affair, it will definitely be a great opportunity for Moses’ novel to reach out to a wider audience! Readers can purchase a copy of “Second Thoughts: Second Chances” on Amazon. The author’s other book titled: “Train from Thompsonville,” can also be purchased on Amazon. D. C. Moses spent several years producing and helping direct investor communications for a well-known LA real estate investment firm. She came to this position from a sharply contrasting background of high school and college teaching of English and creative writing, twice heading up departments. Previous to her academic career, she managed an advertising copy department at a Fairbanks, Alaska TV station. She holds an MA in creative writing from the University of Iowa and a former graduate of Antioch College. She presently makes her home in the Midwest.